Do you ever wish you had someone who could just *tell* you how to shop for the perfect pair of jeans or how to look glam every time you hit the town? Enter our Stylists—the women (and men!) 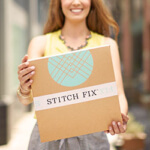 who get to know you better Fix after Fix—who learn what you love but also apply their expert knowledge as they find your new wardrobe favorites. This week, we're chatting with Styling Manager, Alexandra O., for her tips on building this foundation-laying wardrobe. Q: First things first, how would you describe a capsule wardrobe and why are they important to have? A: A capsule wardrobe is the foundation of your wardrobe and it’s made up of building blocks that come together as your personal style. These foundation pieces, like jeans, trousers, easy tops, and go-to dresses are effortless and versatile. Having a capsule wardrobe can help eliminate the “I have nothing to wear” scenario and makes getting out the door in the morning a breeze. Capsule wardrobes feature a neutral color palette so you can mix and match with ease, and they create a great canvas for adding seasonal colors and trends. Lastly, your capsule wardrobe is where your personal style begins. The essential styles you reach for everyday help you look and feel your best, so you can be your best! Your capsule wardrobe is where your personal style begins. Q: What are your tips for getting started creating your very own capsule wardrobe? A: Before you start your capsule wardrobe, I suggest doing a closet edit. That means going through everything you own and doing a massive clean out. Try everything on, and if it doesn’t fit you the way you like or it doesn’t spark joy, it’s time to let it go! Not only does this give you more room to invest in the essentials, it will help you familiarize yourself with the staples in your closet. When cleaning your closet, I create three different categories: Donate, Archive, and Wear. Donate anything that you don’t love or don’t need anymore and archive clothes that have sentimental value but don’t get a lot of wear in your day-to-day; I saved an amazing tailored blazer from my first grown-up job that I don’t have the need for anymore, but I love what it meant at the time I bought it, and it’s good to have on hand, just in case! After you’ve edited, take stock of what you have so you can start your shopping list to fill in the holes! Watch Alexandra share her 10 must-haves for a capsule wardrobe! Q: A little biased here, but why do you think it’s useful to have a Stylist help you build a capsule wardrobe? A: Because your capsule wardrobe will be doing a lot of heavy lifting and pieces will be in frequent rotation, you want to make sure that each item in your capsule is uniquely tailored to you. That means you’ll want jeans that are exactly the right length, rise, and wash, and shirts and tops that fit and flatter. Our Stylists can help you get the perfect pieces for your capsule, ones that reflect your personality and style, and fit you like a glove! Q: What should readers tell their Stylist when they’re ready to build their own capsule wardrobe? A: When you’re ready to embrace an essentials-only wardrobe, let your Stylist know what pieces you already have and love in your closet. We want to know about your favorite black jeans or the perfect trench coat you already have so we don’t duplicate what’s already working for you. It’s also great to know what pieces you want to invest in, and what trends you want to bring in to help update your capsule seasonally. For example, white denim and a solid black v-neck tee might be in your capsule wardrobe, but you want a printed kimono to keep the look current. Let your Stylist know what pieces you already have and love in your closet. We want to know about your favorite black jeans or the perfect trench coat you already have so we don’t duplicate what’s already working for you. Q: Should a capsule wardrobe be built all at once or over time? A: Building a capsule wardrobe that you really love can take a few months, or even years, and that’s ok! A capsule is about that foundation, the pieces that you reach for time and time again. So it may take a minute to hunt down the perfect LBD, but that’s what we’re here to help you with! Q: Just for fun, what’s in your capsule wardrobe? A: My capsule is more casual to reflect my casual lifestyle and I love it because it makes getting dressed in the morning such a breeze (which is key when I’m also trying to get two littles out the door on time!). Jeans are a big part of my capsule: straight leg and skinny in medium wash denim and black. I also reach for solid tops in darker colors since they go with everything! A charcoal turtleneck is part of my winter capsule which gets swapped out for a slouchy grey tee come spring. For outerwear I alternate between a leather moto jacket in the winter and a denim jacket for the warmer months. I recently invested in the perfect pair of black boots for my capsule wardrobe and I’m obsessed! They’re high quality, fit well, and literally go with everything! 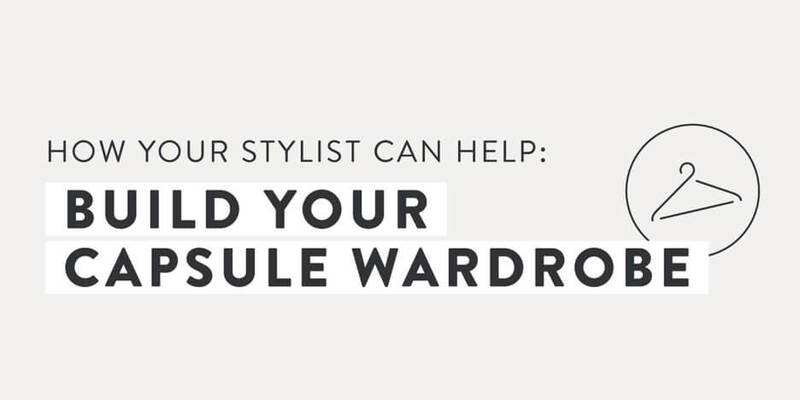 Ready to work with a Stylist to build your capsule wardrobe? Schedule a Fix and let us know!